Seeing as though it's 47 degrees, I think we all need a little something to warm us up. And when a simple cocoa just can't do the trick and you need something with a little more kick, head to The Peninsula for the amaretto hot chocolate. It's spiked with sweet almond-flavored liqueur and the nuttiness pairs deliciously with the velvety chocolate. Both a cocoa and a cocktail, it's the perfect drink to cozy up with on a cold Los Angeles day. 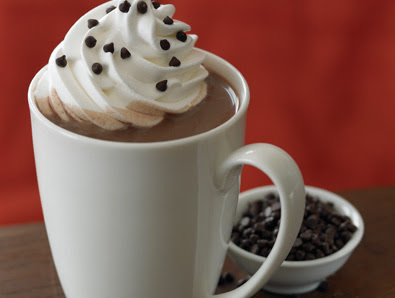 For the under-21 crowd, they also offer traditional and peppermint hot chocolate, garnished with mint and a candy cane. The Peninsula is located at 9882 S Santa Monica Blvd in Beverly Hills. Enjoy one of their fabulous suites while you're there.